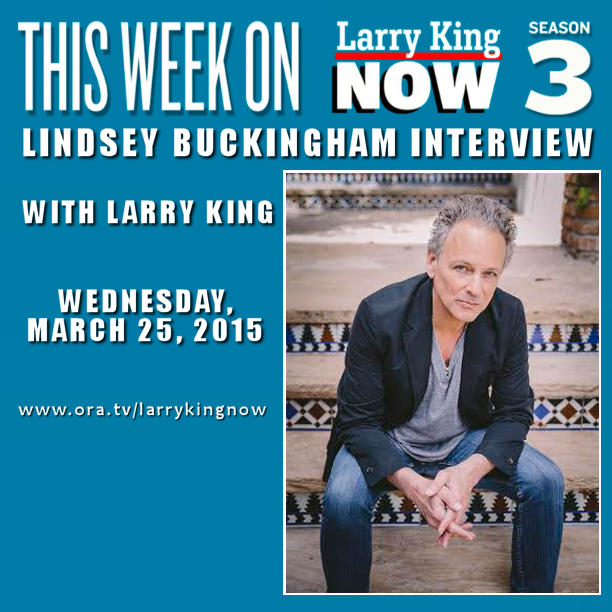 Larry King will air his recent interview with Lindsey Buckingham this Wednesday, March 25, 2015 on Ora.tv. New episodes of Larry King Now are posted at 2PMET. You can watch them after they premiere online anytime at Ora TV or Hulu.